Red Rock, owned by Growney Brothers Rodeo Company, started bucking in PRCA rodeos in 1983. 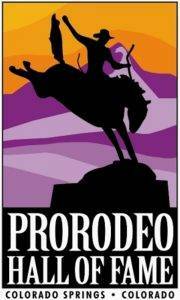 He retired from the arena after the 1987 National Finals Rodeo, unridden in 309 attempts. His retirement was brief. In 1988, John Growney created the “Challenge of the Champions.” This seven-ride match pitted Red Rock, 1987 PRCA Bucking Bull of the Year, against Lane Frost, 1987 world bull riding champion. Frost finished with a 4-3 advantage, but it did more to Red Rock’s fame than his previous 309-0 record. 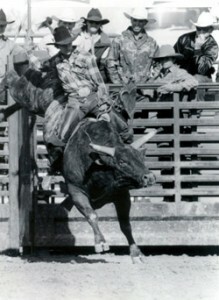 Red Rock retired at the Growney Brothers Ranch in Red Bluff, Calif., and died in 1994.